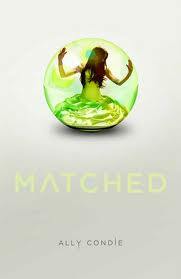 When was the last time you read a YA trilogy with a really tightly-plotted, satisfying conclusion? Go grab a trilogy. I’ll wait. Okay. Now compare the length of the first volume to the length of the third one. I bet it’s a lot longer than the first one–and I bet you liked the first one better, didn’t you? Take Libba Bray’s Gemma Doyle trilogy. A Great and Terrible Beauty: 403 pages. 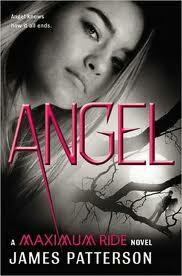 Rebel Angels: 548 pages. The Sweet Far Thing: 819 pages. And if you’ve read it, you know that she could have cut about 300 pages right out of the middle without changing the story’s outcome. How about the Twilight saga? The third book is 26% longer than the first one, and if we go all the way to Breaking Dawn, it’s 50% longer than Twilight. Why does this happen? 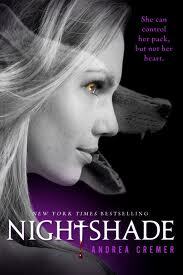 Well, sometimes the author gets to the third book of the series and goes “Oh, poop, look at all of these loose ends! Now I must tie them all up!” Other times, the publisher doesn’t really bother with major edits. If there was a new Harry Potter book, you’d buy it whether it was 600 well-edited pages or 800 sloppy pages, right? The Hunger Games trilogy by Suzanne Collins. 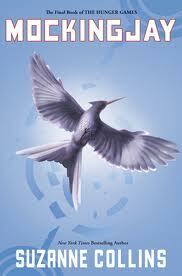 Mockingjay weighs in at 390 pages, only 4% longer than Hunger Games at 374 pages. With a movie coming out in 2012 and copies still on hold at the library, you should definitely get your hands on this one. Rosemary Sutcliff’s Roman Britain trilogy. The Eagle of the Ninth, which was made into the movie The Eagle, aka “that movie where Channing Tatum wanders around Roman Britain looking hot and occasionally emoting,” is 210 pages. The Lantern Bearers, the concluding book, is 219 pages, or about 4% longer. The Grassland Trilogy by David Ward. Escape the Mask, the first book, comes in at 195 pages. The third book, Beyond the Mask, is only 227 pages, or 16% longer. 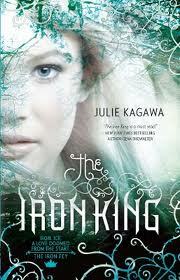 The grand prize in anti-trilogy-bloat goes to Julie Kagawa and her Iron Fey series. The first book, Iron King, is actually the longest book of the trilogy–by five whole pages. Talk about consistency! And that’s it for now. Stay tuned for a Trilogy Edition of Rant ‘n Rave where I get even snarkier about the Gemma Doyle books! Do you feel lucky, (steam)punk? So: Steampunk. 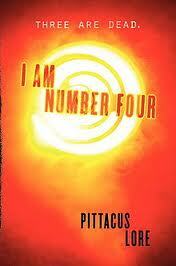 What is it, and what does it have to do with teen fiction? The sarcastic answer is “Steampunk is what happens when goths discover brown.” A better answer would be a question: “What if the future happened earlier?” Steampunk goes back to the 1800s and imagines what would happen if we had created advanced technology using the materials available at the time. So instead of plastic and chrome, we get brass and leather–and always, always goggles. Instead of airplanes, there are steam-powered airships. 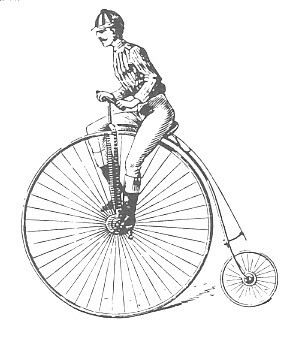 Instead of cars, coal-fired velocipedes. Do you remember the movie version of The Wild Wild West? Okay, it may not have been a great film, but the giant mechanical monsters in the old-west setting is a good example of steampunk. 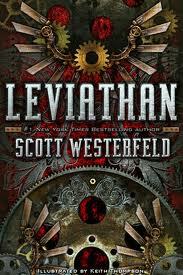 Leviathan, Behemoth, and Goliath (out this fall) by Scott Westerfeld. It’s World War I as you never knew it. Austria and Germany have their military strength in giant machines; Britain and her allies use genetically engineered animals to carry their soldiers. When an Austrian prince gets captured by an English airship, he makes friends with a young midshipman who is really a midshipwoman in disguise. Adventure ensues! 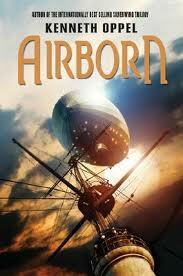 Airborn by Kenneth Oppel. Matt is a cabin boy on the airship where he’s lived all his life. He rescues an old man who claims to have discovered a species of “beautiful creatures,” but the man dies, leaving behind only a notebook filled with sketches. With the help of Kate, a rich young girl who happens to be the man’s granddaughter, he sets out to find if the creatures are real, or just a figment of a dying man’s imagination. Clockwork Angel by Cassandra Clare. Set in the same universe as her present-day Mortal Instruments series, this book delves into a shadowy version of 1878 in England. Tessa travels to London to find her brother. 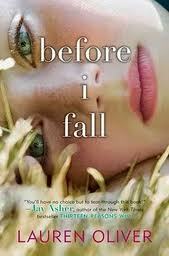 Instead, she’s captured by two sisters who force her to Change, taking on the appearances of other people. She’s accidentally rescued by the handsome but troubled Will, who introduces her to a world full of clockwork wonders–and terrors. 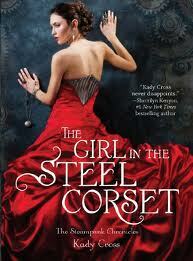 The Girl in the Steel Corset by Kady Cross. Finley Jayne tries not to cause trouble, but when a young lord makes unwanted advances, she decks him with a punch that knocks him out cold. This isn’t part of a normal young woman’s skills, so Finley goes on the run to avoid questions. She meets Griffin, who shows her that she’s not the only person out there with surprising abilities, but danger is looming in the form of the mysterious Machinist. 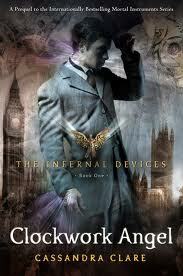 The Parasol Protectorate series, by Gail Carriger. 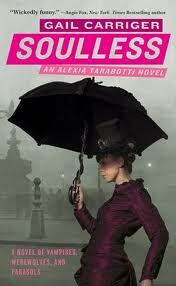 A proper Victorian lady never goes anywhere without her parasol–in this case, a brass-cased, steam-powered menace wielded by the formidable Alexia Tarabotti. 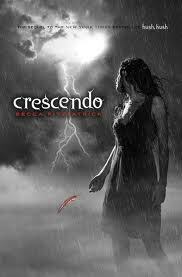 Combining steampunk with the paranormal–she faces down vampires and werewolves–Alexia has to navigate Victorian society as well as the world of the undead. This one has some mature content, so give it a test run to see if it’s right for you. But steampunk is more than just a fiction genre–there are communities of steampunk crafters and steampunk costumers as well. So check some of them out and get your ‘punk on!